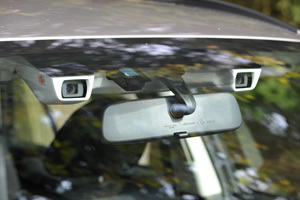 Tokyo, November 7, 2014 - Fuji Heavy Industries Ltd. (FHI), the manufacturer of Subaru automobiles, is pleased to announce that it will debut its unique EyeSight driver assist technology in the new Outback to go on sale in Europe during 2014. 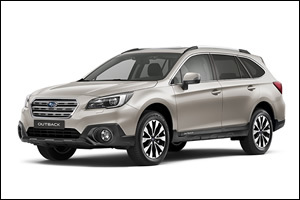 This will be the first Subaru model built to European specifications that will feature the system. EyeSight's launch on the European market, following on from its introduction to the Japanese, Australian and North American markets, enables FHI to extend EyeSight's deployment across markets globally. The EyeSight was the first system ever to use only stereo camera technology to detect the presence of even pedestrians and cyclists. The system's features include Pre-Collision Braking Control and Adaptive Cruise Control. Since its Japanese debut in May 2008, EyeSight has earned high praise from customers, as well as outstanding ratings from third-party organizations. Subaru vehicles incorporating EyeSight were awarded the highest possible "superior" rating in tests assessing the performance of front crash prevention systems as part of the safety assessment conducted in 2014 by the Insurance Institute for Highway Safety (IIHS; a nonprofit organization supported by auto insurers in the US). In Japan, meanwhile, EyeSight-equipped vehicles were awarded the highest possible JNCAP*1 ASV+*2 rating in the preventive safety performance assessment conducted by the Ministry of Land, Infrastructure, Transport and Tourism, and the National Agency for Automotive Safety & Victims' Aid (NASVA). In the new generation EyeSight*3 which was first launched in Japan in June 2014 followed by its North American launch, FHI has further refined the preventive safety and driver load-reduction features. To this end, it completely remodeled the stereo cameras, extending the field and distance of vision by approximately 40%. Incorporating the new EyeSight into a European-specification Outback for the first time will enable FHI to offer substantially enhanced preventive safety performance to more customers. *3: EyeSight(ver.3) as it is known on the Japanese market.